Scottish Borders Council has successfully secured almost £635,000 National Lottery funding to support the redevelopment of the existing Jim Clark Room. At the same time, The Jim Clark Trust confirmed it had reached its fundraising target of £300,000 thanks to the support of thousands of public donations. "I am thrilled that the dream has come true that sufficient funding is going to permit a great Scottish hero to be honoured by what will be an excellent testimony to his success as one of the world's greatest racing drivers of all time," said Jackie Stewart, Honorary President of The Jim Clark Trust. "I am so proud to have been a friend of Jim's," he continued. "I learned so much from him and I miss him dearly. This initiative will recognise one of Scotland's greatest sporting heroes in the very grounds that he so much loved. "I would like to thank the Heritage Lottery Fund, Scottish Borders Council and The Jim Clark Trust and all who have financially supported this endeavour to honour a great Scottish sportsman." "It is wonderful that the Heritage Lottery Fund has given its support for this project and that The Jim Clark Trust has also reached its ambitious funding target," added Councillor Euan Jardine, SBC's Executive Member for Culture and Sport. "Thanks to these funds, combined with the Council's own commitment, we can now look forward to a much improved museum. "This project will create a visitor attraction which will bring in tourists and Formula One fans from across the world to Berwickshire in bigger numbers than ever before and will really be a fitting legacy to Jim Clark." The new museum will provide expanded exhibition space showcasing memorabilia and the trophy collection, two of Clark's race cars, new image galleries, film footage, interactive displays, technology and an education zone. It will continue to be operated by Live Borders. 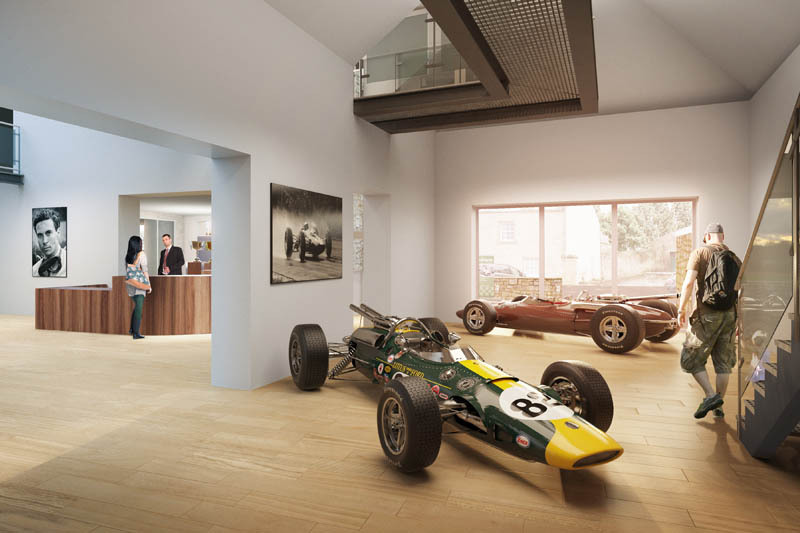 "We are delighted that, thanks to players of the National Lottery, we're able to support the transformation of the Jim Clark Room into a visitor attraction worthy of his sporting greatness," said Lucy Casot, Head of the Heritage Lottery Fund in Scotland. "It's certain to attract people from far and wide benefitting the Border's tourist economy." The Jim Clark Trust and representatives of the Jim Clark Memorial Room Trust have been involved throughout the project development, and have played a key role in fundraising. "On behalf of the Trust I would like to thank Heritage Lottery Fund and Scottish Borders Council and the thousands of individuals across the world that have supported our £300,000 charity fundraising campaign, without whom this project would not be possible," said Doug Niven, Trustee and cousin of Jim Clark. "Those people should feel justifiably proud having contributed to today's announcement. We look forward to a new museum celebrating the life and achievements of Jim and his legacy for Scottish motor sport to promote heritage, education and inspire future generations." Over the past five years the project has received widespread support on a regional and national level and from the international motor sport community. Supporters of the project include motor sport luminaries such as Dario Franchitti, Allan McNish, David Coulthard, Clive Chapman and Lord March, all Patrons of The Jim Clark Trust. Wider aspirations for the museum project feature an extension in the future to showcase more race cars with a celebration of Scottish motor sport, a classic car restoration programme, support for technology skills apprenticeships and a Jim Clark driving tourist trail through the scenic countryside of the Scottish Borders incorporating historic venues such as the old race circuits at Charterhall and Winfield Airfield, local market towns and Jim Clark's grave at Chirnside. Lynne Irons, Director of Managed Services at Live Borders, said: "Live Borders is delighted that the efforts of all the partners has led to successful fundraising targets being reached and look forward to working with them to create a first class museum and visitor experience for Duns and the wider Scottish Borders. 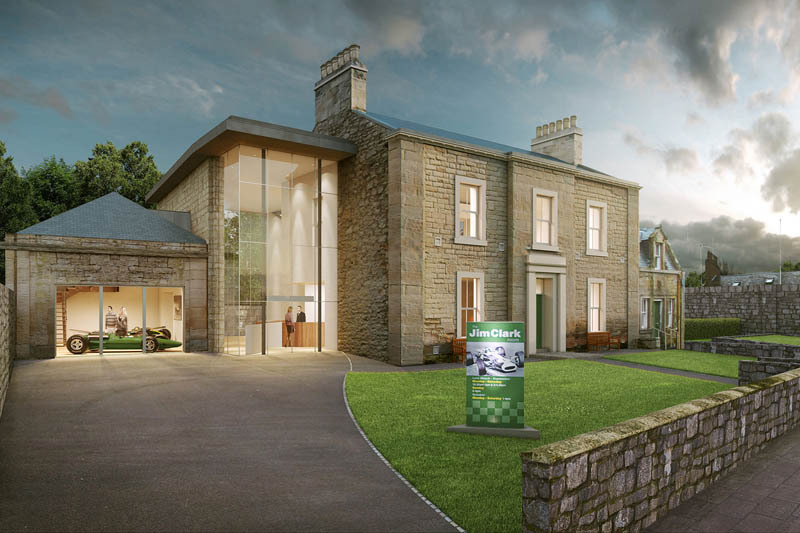 "The expanded museum will be a modern and vibrant celebration of Jim Clark's life and career for visitors from all walks of life to celebrate his life and achievements." Development funding of £53,100 was awarded by the Heritage Lottery Fund in March last year to help progress plans ahead of the full funding application. Members of the public can keep in touch with the redevelopment plans, news and future events by registering at jimclarktrust.com. "This is great news. " "And Lewis Hamilton could write off the Silverstone debt. So what is your point JimH, heritage or history is the responsibility of the person that promotes that part of history? In that case hope you dont speak too loudly about any heritage or historical event unless you are prepared to fund it." "Jackie Stewart could have financed the £1.6 million out of his small change and the money from the lottery money and public donations could have been better spent than on this rich man's little club."